This benchmark index is targeted at investors wanting to observe or get involved in the positive development of the renewable energies sector to optimum effect. Since 2008, it has been mirrored by the Swiss registered investment fund BBGI Clean Energy Fund. 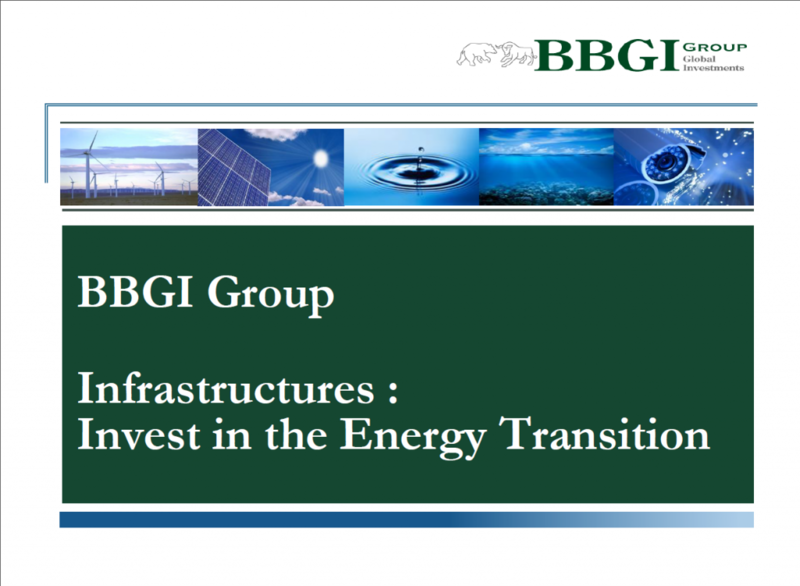 By creating one of the first broadly diversified funds in alternative energies, as well as one of the first Swiss-registered funds in this sector, BBGI Group offers a better overview of the alternative energies market and offers investors a high-performing investment vehicle as compared to others on the international stage. The BBGI Clean Energy 100 index and the indexed investment fund linked to it are made up of 100 equally weighted securities from companies specialized in alternative energy. The nuclear sector, which is sometimes considered a form of alternative energy, was not one of the sectors chosen when the index was created. We take special care to diversify the fund in terms of sector, geography and currency. The BBGI Clean Energy 100 index has comfortably outperformed the other indices available since their creation and has the longest track record in the sector. Alternative energies are the only way out of the oil impasse. Why the BBGI Clean Energy 100 Index ?